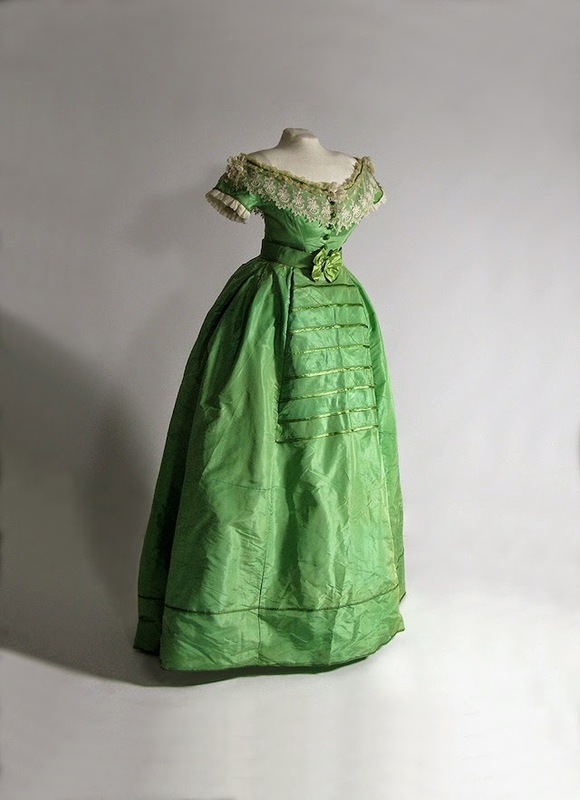 One of the items on show is this beautiful green dress. Before the end of the 18th century there was no color-fast green. But then inventor Carl Wilhelm Scheele came up with the brilliant idea of mixing arsenic and copper, and so managed to create a green pigment that would hold in both wallpaper, paintings and fabric. By the mid 1800s this new emerald green had become extremely popular, and was used for both clothes and artificial flowers. 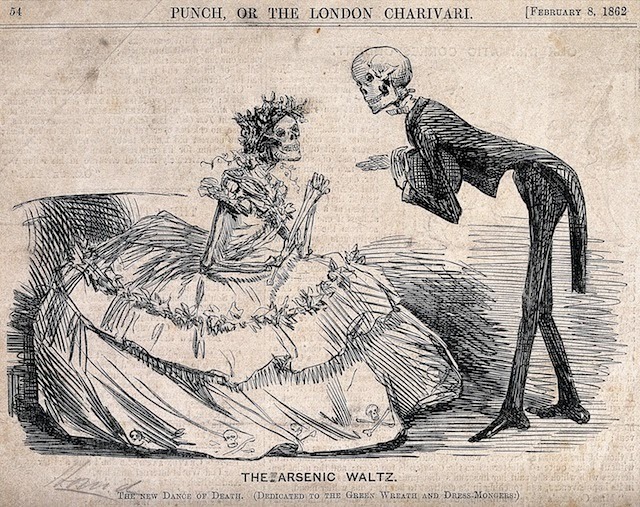 As the color contained arsenic though, it affected both factory workers, seamstresses, the wearer of the green dresses, and fellow ball goers. The biggest risk was if the wearer started to sweat and absorb the poison. 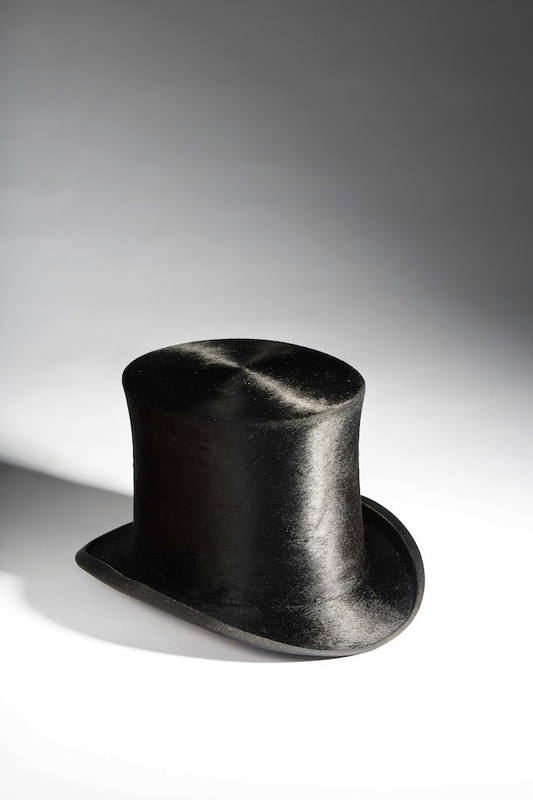 Even after it got widely known that this arsenic-based green could lead to horrible physical suffering and early death people - mostly women - still continued wearing it. 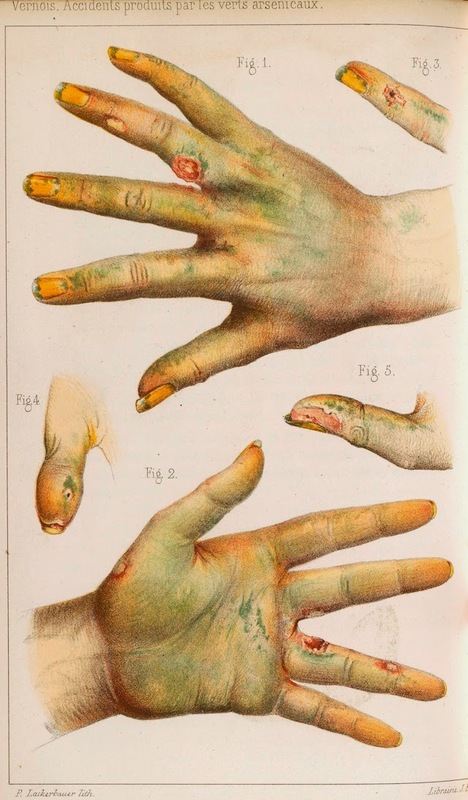 The picture above is from an 1859 medical journal, showing hands damaged by arsenic dyes. 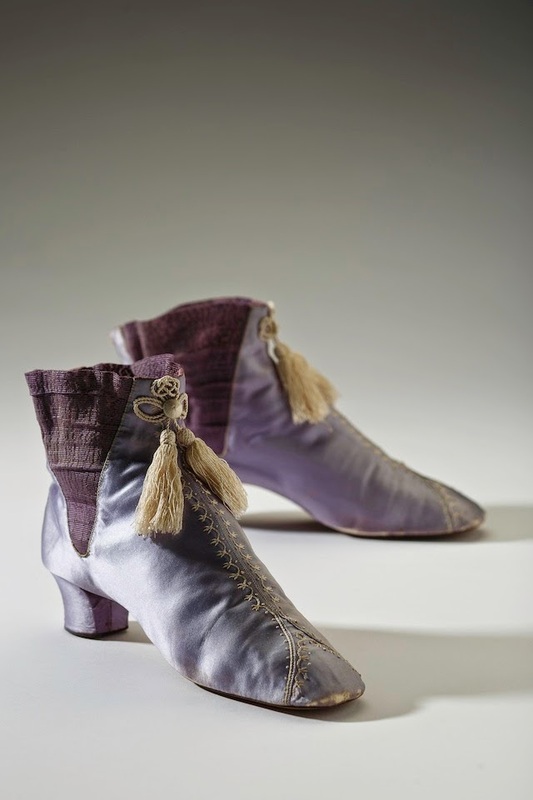 The color mauve, as on the late 1860s boots above, were also highly toxic, containing arsenic, piric acid, and other harmful chemicals. I very much enjoyed this post. Especially the part about Scheele, as he was born in my hometown. People always did crazy things for fashion and sadly we didn´t learn very much from the past. The problem isn´t even that we decide to wear poisonous clothes, the problem is that we are forcing people to produce these clothes who have no other choice.